Take oil in a kadai.When hot add all the above seasonings.When they splutter,add onions and green chillies. 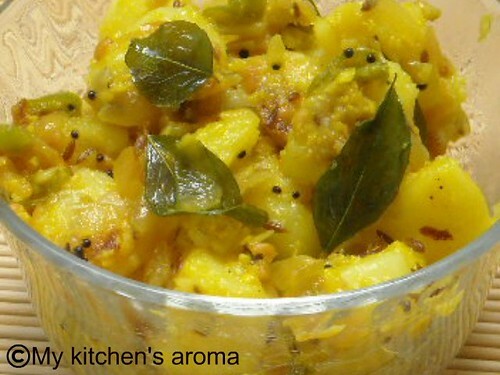 Now add the boiled and cubed potatoes , turmeric powder and salt.Mix well and saute for 2-3 minutes. Lastly add the curd and mix well. Cook till dry and serve hot. Dahi Aloo looks very drool worthy and yummy. Very simple preparation. 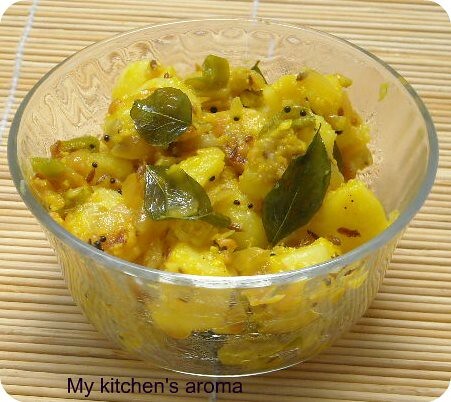 Really simple n comforting recipe n can go with any meal. Wow! Adding curd makes the dish tasty!